Did you know that 80% of New Year’s resolutions fail by February? That’s a huge percentage. And while we truly have the best of intentions, most of us simply don’t follow through. There is a quote often attributed to Benjamin Franklin, “Failing to plan is planning to fail,” that I think holds the key to one reason so many give up so quickly. Just as individuals set goals, it’s important for the church to do the same. And just because it’s already the middle of January does NOT mean it’s too late to get back on track with your goals. “How to Set Church Goals” from United Methodist Church Communications clearly explains how and why your church should set goals and follow through with them. Creating the goal is only the first step; next is the plan, where you break down your goals into smaller, easy-to-manage objectives and assign tasks. Following are a few tips we’ve gathered over the years from various and ministries. Start your annual planning by scheduling yearly events on the calendar or on a shared digital planner. We use Google’s calendar function. Then backdate three months from each big event and mark “start planning for X event” in red. It’s as simple as starting with what you know for sure. In additions to events and celebrations, what else does your church need to focus on in the New Year? Does your church have the following in place? An Emergency Preparedness Plan – Now is a good time to review and update the emergency preparedness plan to ensure your church is ready for the unexpected. It is only wisdom to have a plan and know how to respond in the event of an emergency. A Plan for Copyright Licensing Coverage – it is also a great time to take a step back and get the full picture of what copyrights you may be using for the year and make sure that you are using them legally. A great place to start is by downloading the Church Copyright Toolkit that includes six key steps to making sure all your copyright activities are legal. Many large churches have sophisticated planning apps, but even smaller churches can greatly improve their planning and internal communications with some cost-effective software. One of our favorites continues to be Planning Center Online, which provides a full suite of apps. Their products can be mixed and matched to meet your unique needs and include worship planning. Capterra put together an extremely detailed list of all the planning software available to churches. January is a great month to gather your team for a day set apart from regular tasks and duties. At CCS, we like to use the term “advance,” rather than a retreat, because giving time for dreaming, collaborating and planning is an important step towards growth. Here are some ideas for creating the environment and objectives for successful planning. Set the stage by sharing your expectations and giving value to having everyone contribute. You may want to highlight what you view as the most important items with the highest priority. Provide a clear agenda for the goals and objectives. Highlight specific annual events that will require more detailed planning. Make sure there’s time for fun and strengthening of team member relationships. Allow downtime for meals and time for brainstorming and collaboration. Designate a “scribe” who will record all the ideas, goals and action items. Plan on designating follow-up meetings with smaller groups for specific event planning. 3. On one day I take an hour to think and pray about events and ideas that are THREE months away…these are often starter ideas, “what ifs” and crazy dreams. 2. On another day I take an hour to think, pray and plan events that are TWO months out. These are ideas that have gone beyond the “what if” stage and have been green-lighted. By now, we’ve started setting dates and times, promotional ideas, recruiting volunteers, decorations, artwork and so on. 1. On the final day, I take one hour to think, pray, plan and work on events ONE month out. This is when we work on details. We start promoting the event. I begin thinking about what skits, video clips, special songs or sermon illustrations I might use, and so on. 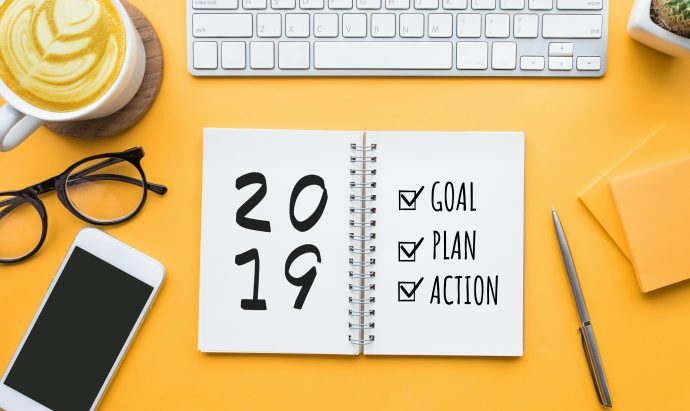 We pray that 2019 is a year of blessings, plans, and dreams come to fruition for your church and your communities. About Toni Kemper: Mother of three and marketer by trade, Toni is a graduate of Loyola University New Orleans. She joined the CCS team in 2016 as the Communications Coordinator and jumped right in learning the ins and outs of church music and copyrights. Toni is passionate about writing and enjoys contributing to the CopyrightCoach. She is also passionate about education which fits right in with CCS’s mission to educate the church community on copyrights, as well as why you will find her volunteering in the Children’s Ministry department of her church in Fairhope, AL.